NEW: Use these MS Word and Excel Cost Benefit Analysis templates to analyze, evaluate, and cost potential solutions to meet your organization’s needs. You can use this to present the costs for the design, development, installation, operation, maintenance, and disposal of the proposed system over its projected lifetime and identify the approach for the development of the system as determined in the Feasibility Study. 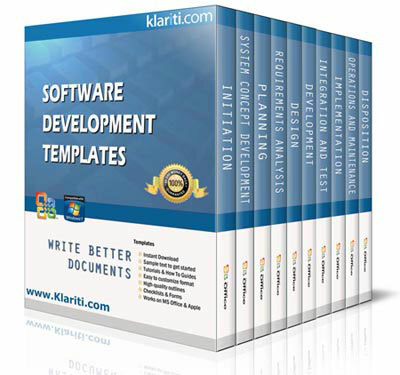 Looking for Software Development Templates that will save you time and money? These 60 templates will help your team write faster, save time, and complete documents ahead of schedule. You get over 570 pages of MS Word documents with instructions, sample text, charts, tables, MS Excel checklists, and MS Visio flowcharts. The Software Development Template Pack includes 60 MS Word templates to assist your software developers, test team and technical writers during the software development lifecycle. Includes free Requirements Traceability Matrix , Data Dictionary and Excel spreadsheets. Use these templates to help your Developers, Testers and Technical Writers write Database Designs, Risk Management, Deployment Guides, Setup Guides, Statement of Work, Capacity Plans, Feasibility Studies, Requirements, Change Management, Configuration Management and many others. Use these templates to ensure your technical documents have a professional, consistent look when delivered to clients. Use these templates to help your Developers, Software Testers and Technical Writers write Database Designs, Risk Management, Deployment Guides, Setup Guides, Statement of Work, Capacity Plans, Feasibility Studies, Functional Requirements, Change Management, Configuration Management and many other guides. Includes free Requirements Traceability Matrix, Data Dictionary and Excel spreadsheets. Read more customer testimonials here. 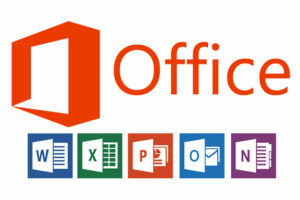 These templates work on all versions of MS Word and Excel. 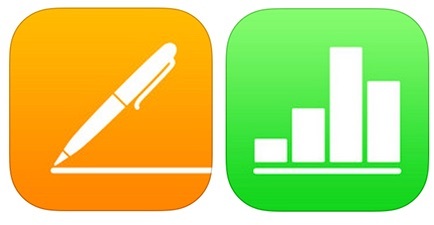 If you use Apple iWork, you’ll love our Pages and Number templates. We created them from scratch to work on all versions of iWork by ensuring that the styles were correctly formatted, and display correctly on the print, web, and mobile devices. Download Apple iWork templates.